Pei-Sian Ng was Commonwealth Musician of the Year in 2007, winner of the Gold Medal and First Prize at the Royal Over-Seas League Music Competition, London. Born in Sydney in 1984, he began his studies in Adelaide with Barbara Yelland and later with Janis Laurs at the Elder Conservatorium of Music before winning the prestigious Elder Overseas Scholarship to study with Ralph Kirshbaum at the Royal Northern College of Music in Manchester. As a soloist, he made his international debut with the Malaysian Philharmonic Orchestra in 2004, and has continued to perform with orchestras including The Queensland, Tasmanian Symphony, Adelaide Symphony and Sinfonia ViVA orchestras. Recently Pei-Sian Ng gave the Asian premiere of Kalevi Aho’s Double Cello Concerto with the Hong Kong Philharmonic Orchestra. He has collaborated with Rumon Gamba, Paul Mann, Nicholas Kok, Pietari Inkinen and Arvo Volmer. 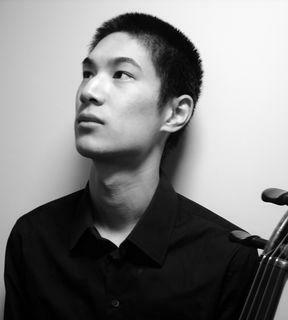 Pei-Sian Ng regularly attends the Kronberg Academy International Cello Festival in Germany and made an appearance at the Manchester International Cello Festival in 2007. He is grateful for the support he has received from the Victoria League, MBF Myra Hess Award, Countess of Munster Musical Trust, Tait Memorial Trust, Australian Music Foundation, Marten Bequest, Charles and Elsie Sykes Trust and the Hattori Foundation. Since 2006 he has been an artist on the Countess of Munster Recital Scheme and looks forward to debut recitals in London at the Royal Festival Hall, Purcell Room and Wigmore Hall in addition to concerts in the Edinburgh, Brighton and the Adelaide International Cello festivals. In July 2007, Pei-Sian Ng and his brother, Pei-Jee Ng , made their critically acclaimed recital tour of Australia, performing in 16 cities and regional centres across the country. Most recently, he performed with the Oulu Symphony Orchestra in Finland and made his US debut, playing at Jazz at Lincoln Center, Rose Theater, New York. Pei-Sian Ng performs on a 1764 Giovanni Antonio Marchi cello.